It has been said that a person’s eschatology determines their theology. Eschatology simply means the study of last or final matters. I believe the statement because wherever you think this thing is going determines your steps today. When it comes to this topic there is soooo much to be talked about it’s almost overwhelming. Part of the reason I started this blog was because over the last couple of years I have done some deep studying and have come across some things that gave me a new perspective on a few topics such as: The tribulation, the last days, the antichrist, the beast, the mark of the beast, the New Jerusalem, the Old Covenant, the New Covenant, etc. I’m goin to skim over some things in this post, and will speak more detailed on certain topics in the days and weeks ahead. The main point of this post is to get some wheels turning and awaken in you a desire to search these things out for yourself. Something that has been vastly overlooked when it comes to these things is the historical context they were written in. When it comes to the Olivet Discourse (Jesus’ prophecy of the destruction of Jerusalem), and the book of revelation, if you don’t consider what context those things were written in you end up reading things into the Scriptures that God never intended you to. This is why there are so many different views on the last days. Much harm is done to the Bible concerning this topic because we forget that although the Bible is God’s word, it’s also a historical account of God’s dealings with man, and more specifically the Jewish people group. When we fail to consider the historical context, we lose the true meaning. I will lay down many examples of how things have been twisted in future blogs. I will give just one here to show what I mean. To be clear an “iota” or “dot” represents the smallest stroke on a page. So, what we should gather from Matthew 5:18 is that either we are still completely under the law, or did heaven and earth pass away and we somehow missed it?? Let me just say, the smallest stroke of the law would also include animal sacrifices, stoning people for certain sins, journeys to the temple in Jerusalem. But you might say wait, the temple in Jerusalem was completely destroyed in 70 AD. Aahh, that brings up a major point. In Jewish literature, “heaven and earth” was an idiom for the temple (google it). There are dozens and dozens of things like this in the NT, especially in the book of Revelation. What we must consider is the fact that so much of Jewish history is not included in the Bible, but in other historical books. The main purpose of the Bible is to point people to Jesus, but thankfully so much of history has been passed down that we can read the Word from the same perspective the original readers had, and then by the power of the Holy Spirit we can learn to apply these things to our lives today. The Bible was not written to us, but for us. It was written to the people in the context of the time. If we read it as though the writers were speaking to a generation thousands of years in the future we can read into it whatever we may choose. 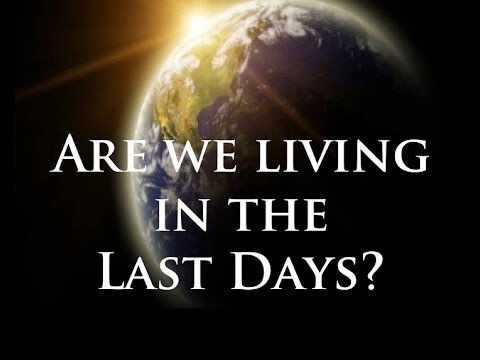 In the context of the NT times, the term “last days” actually referred to the last days of the Old Covenant, which was what their lives revolved around. The temple was the center of the universe for an ancient Jew. So, if we’re not in the last days, what days are we in? I’ll touch on this very briefly here, but more is to come. In Daniel 2 the young prophet Daniel interprets a dream that the king of Babylon had. In the dream he saw a great statue that represented present (present at that time) and future kingdoms. Then he saw a stone hit the statue on the foot and shatter it. That stone then became a mountain that filled the whole earth. Daniel explained to the king that this statue was the kingdom of God and it would be greater than all other kingdoms. In Matthew 13, Jesus compared the kingdom of heaven to leaven that is mixed into a batch of dough. Eventually it works its way through the entire batch until it is all leavened. He uses a few other examples in Matthew 13 to describe the Kingdom. We are living in the days where the kingdom of heaven is advancing. It may be quietly happening, but it is happening, actually more rapidly than ever before. Look at how the Muslim world is coming to Christ in droves! But all you hear in the news is how terrible ISIS is. Satan is a master distracter. He’ll do anything and say anything to keep God’s children from advancing the Kingdom. By the year 100 AD the Roman Empire, which included Israel was less than 1% Christian. Out of about 181 million people 1 million were Christians. Today more than 30% of the entire world are Christians (roughly 2.2 billion out of more than 7 billion). The kingdom is advancing! We get to share in it. However we must understand that the kingdom does not come all at once like we’ve been assuming. It slowly and powerfully advances until the earth is felled with the knowledge of God! Grace and peace 2u. This point alone should recalibrate our thinking and understanding!! Previous Previous post: Powerless Christianity? Is that a thing? ?